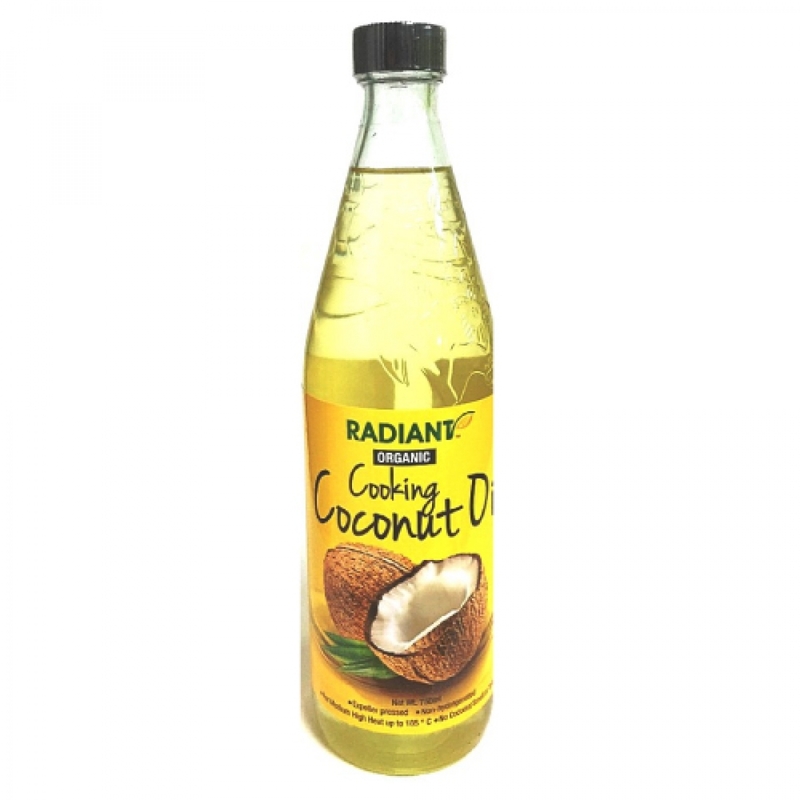 Radiant Organic Cooking Coconut oil is processed using the organically approved methods of physical extraction and refining. It is also known as RBD (refined, bleached and deodorized coconut oil). It is best use in Asian stir- frying or baking at medium-high heat, or for adding a creamy texture to smoothies. It has no coconut smell or taste, so it is very suitable for bread and cake making. It provides Medium Chain Triglycerides (MCTs) for our body. Helps to prevent illness with its powerful antibacterial, antiviral and antifungal properties.